As I wrote the date above, I thought about all the people in the world who have been looking forward to this day to ‘get it over with already.’ Out here in the South Pacific that won’t happen for another 800 miles since we have no access to news. I cannot think of a better time to have to unhook myself from Facebook. Hopefully, by the time we get to NZ, the world will have moved on to a new news cycle, the fractures caused by this election will start to mend, and kindness and civility will return. Out here, the biggest news is that we were able to start really sailing before daylight this morning, and even better, the sun came out! We’d sailed the night before, but the boat was rolling a little and the sails were flogging as we barely made 3 knots in 8-10 knots of wind. The moon was hidden behind the clouds. Then we’d motored for most of the daylight hours yesterday under a low gray sky that drizzled rain on us all day long. The heat from the engine combined with the damp made the windows in our large raised salon fog over with moisture. Today, Mother Nature is doing her best to make up for the windless start. The sailing has been glorious since sunrise with the kind of conditions brokers would love to sell people on the cruising dream. The ocean is the deep blue color of Learnativity’s hull with a light sprinkling of gentle whitecaps. There is almost no swell as we glide along effortlessly clocking off the miles. This morning we passed within 10 miles of a little tiny island called Ceva-I-Ra, and we were visited by a big booby bird probably from the rookery there. The tiny dot of land doesn’t show up on electronic charts unless you are really zoomed in and it would be easy to hit. Our friend Philip warned us about it and we had placed an icon over it that made it look like nuclear waste was buried there. 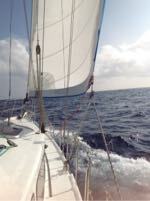 Now we can see a sail on the horizon off our port aft quarter. We know of lots of boats that were leaving Fiji in the same weather window, but it is unusual to see another boat out here hundreds of miles from any harbor. Seeing that boat makes me think of a great book I read recently called CLOSE REACH by Jonathan Moore. 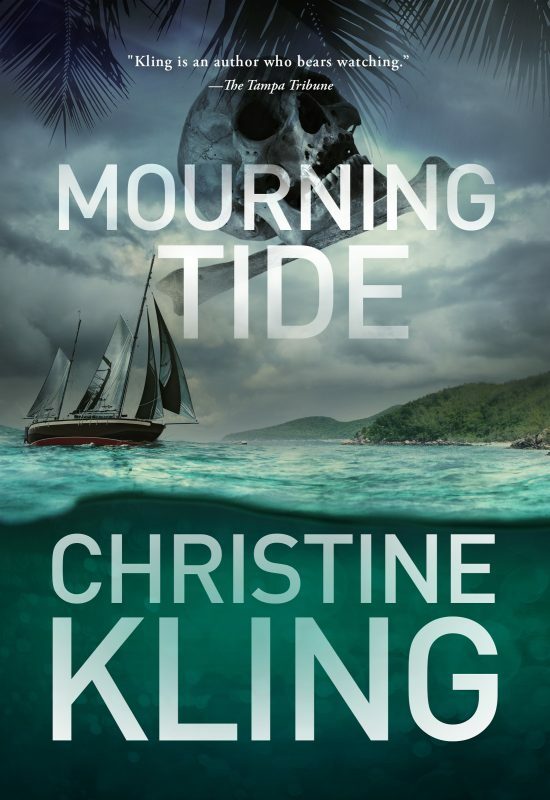 If you love sailing books, and you want to be terrified by a thriller, give it a try. The author knows his sailing, and you will never look at a boat following you the same way again. The forecast continues to look good for the rest of the trip, and we are hoping for an arrival in Opua, New Zealand on Tuesday or Wednesday next week. Now it’s time for me to head to the galley and make some hummus for appetizers followed by Chicken Caesar Salad.